Move over Dora the Explorer, Bino and Fino Are in Town! In a bold bid to dispel the stereotype of "West is Best", Adamu Waziri and his team decided to be the change they want to see. Bino and Fino, a cartoon series about a brother and sister launched the later part of 2011, with a pilot episode to celebrate Nigeria's independence day. Bino and Fino live with their grandparents ‘Mama’ and ‘Papa’ in a modern day city in Africa and it is aimed at three to five year olds. 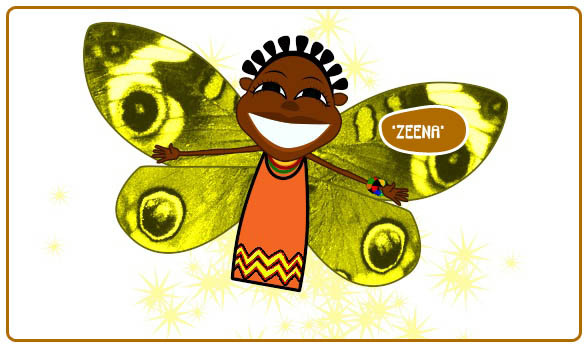 It was created out of a desire to meet an an industry demand for more ethnically diverse children’s entertainment, especially for viewers from a Black African heritage globally, whether residing on the African continent or in diaspora. 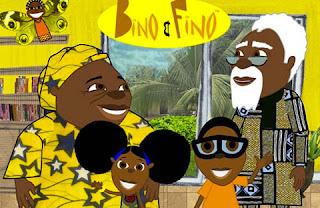 This Sunday Bino and Fino will be screened as part of a special children’s event in Lagos. The event is taking place at the wonderful Lifehouse in V.I. Here are the details. 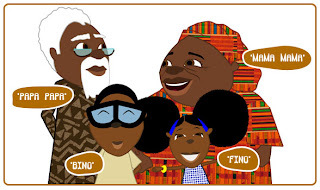 Special screening of the adventures of Bino and Fino a cartoon series about a brother and sister who live with their grandparents 'Mama' and 'Papa' in a modern day city in Africa. Bino and Fino has been featured on CNN . It is also now showing on Sky in the UK and is receiving wonderful support from viewers. DVD collections of Bino and Fino episodes will be for sale on the day so the fun can continue at home. A very special friend of The Life House, 'Demi' Nwadike aged 9, will be sharing some of her own stories with all of her friends at The Life House. An avid and ferocious reader, Demi will be reading from 'Hey Zoe' a fictional account of preteen angst and dilemmas.She is currently working on her first book- 'Candyland'- a collection of short stories due to be published before December 2012. THIS SPECIAL FUN DAY will be wrapped up with art and craft activities by Paloo's Place. Paloo's Place is a creative children's playscape and activity center in Ikoyi. They shall be enriching the Fun Day experience with special activities.